Doing more with less is a theme that's found its way into the narratives of all our economic sectors, in one way or another. The agricultural sector - and the fruit industry - has certainly not been spared, especially when it comes to the dwindling natural resource of water. Despite this, our citrus subsector has had abundant lemon and mandarin plantings and is expecting to export a record 137 million boxes this year. The Agbiz/Industrial Development Corporation (IDC) Agribusiness Confidence Index improved to 46 in the first quarter of this year, marking a four-point increase. It’s heartening to note that horticulture is one of the subsectors that have contributed to the upswing in optimism in this latest index recording. However, the improvement in the index still has us hovering below the 50-point neutral mark. This underscores a persistent pessimism amongst agribusinesses, when it comes to SA business conditions, with land reform said to still be ranked high. In order to continue to thrive in the fruit industry, despite diminishing natural resources, we’ve come to rely more and more on innovation; relevant risk management tactics guided by world-class research; and sheer commitment. The debilitating drought has seen most of our fruit growers dig deep when it comes to smart water usage. We salute them, as well as everyone else within the fruit industry value chain who’s contributed to the implementation of innovative and responsible farming practices. But we’re hardly out of the woods as far as navigating the effects of the drought and mitigating against future iterations are concerned. As the World Wildlife Fund’s (WWF) latest Agriculture Facts and Trends South Africa Report points out, "Southern Africa is the second region in the world to be confronted by a debilitating water deficit. The first was the Middle East and North Africa (Turton, 2000)". This with Cape Town having come dangerously close to being the first metropolis in the world to run out of water. A new UCT study, which forms part of the African Climate and Development Initiative, also confirms that climate change has increased droughts from the anticipated 50-year cycle to an alarmingly short 15 years. Professor Mark New who co-leads the research team, says their objective is to "enhance on-the-ground responses to reduce the impact on populations of the global south". This is over and above their focus on the reduction of future drought-related risks. Findings from this African-led science for African application, confirms countries on the continent to be amongst the most vulnerable to climate change and variability – the recent droughts in Southern Africa being a case in point. As New cautions alarmingly: "Even in the best-case scenario, the Western Cape – like the rest of South Africa – is expected to become more vulnerable to food and water insecurity in coming decades." He, therefore, advises an intensified focus on the best adaptation plans, to further augment our resilience. The number of farms in SA has declined to less than two-thirds of what we had in the early 1990s and with the average age of our farmers being 62, we need to recruit more young minds into the agricultural sector – and therefore, the fruit industry. This, we hope, will inject new vigour into the sector, enabling accelerated innovation and adaptation to establish us as future-fit. It will also allow for our more seasoned growers to systematically impart their invaluable know-how to these future leaders. With our SA population growing annually at an approximate 2%, our population is expected to reach 82 million by 2035, more than doubling the current demand for food production or imports. This while we’re using significantly reduced natural resources. 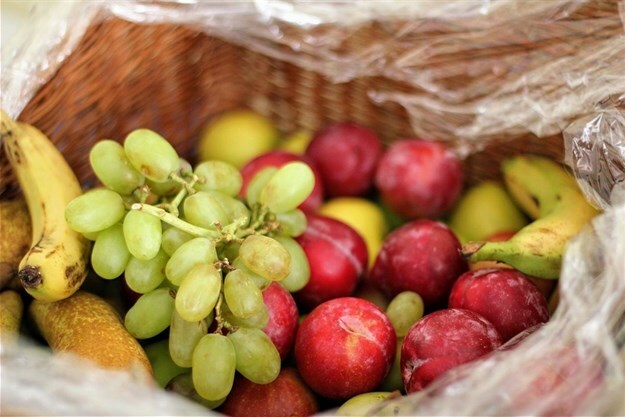 This expected population surge will also present a demand for jobs, which intensifies the fruit industry’s reliance on increased market share in order to sustain and grow exports. Though daunting, having to do more with less is hardly a threat to the fruit industry. On the contrary, it’s helped showcase our resourcefulness, resilience and camaraderie. We’re going to be more than just okay, as long as we remain current through innovation and continue to mitigate, especially against the growing deficit of our most precious resource: water.